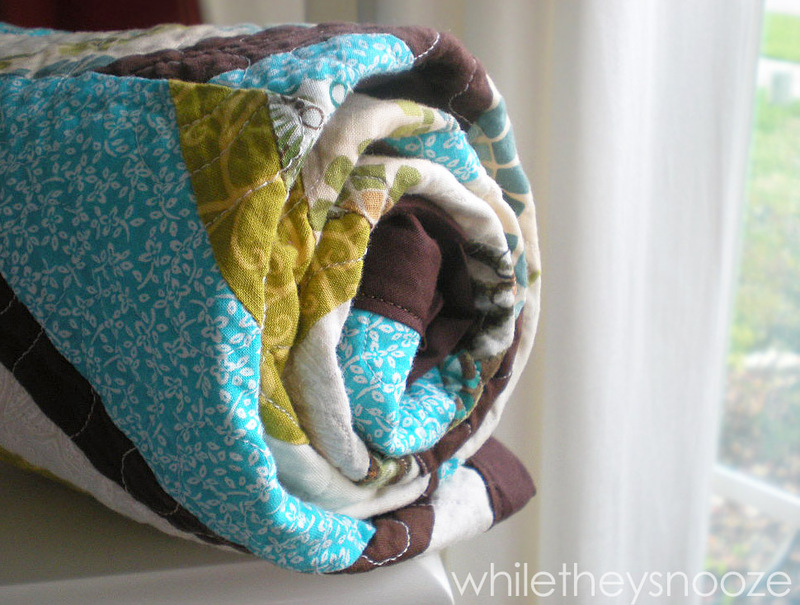 So something like a hundred years ago I made my first quilt. Not really, it was more like 3 years ago, but same thing. I really didn't know what I was doing but thought hey, if other people can figure it out, so can I (that could really be my life motto). So I Googled a bit, read some blogs, bought some fabric, and went at it. 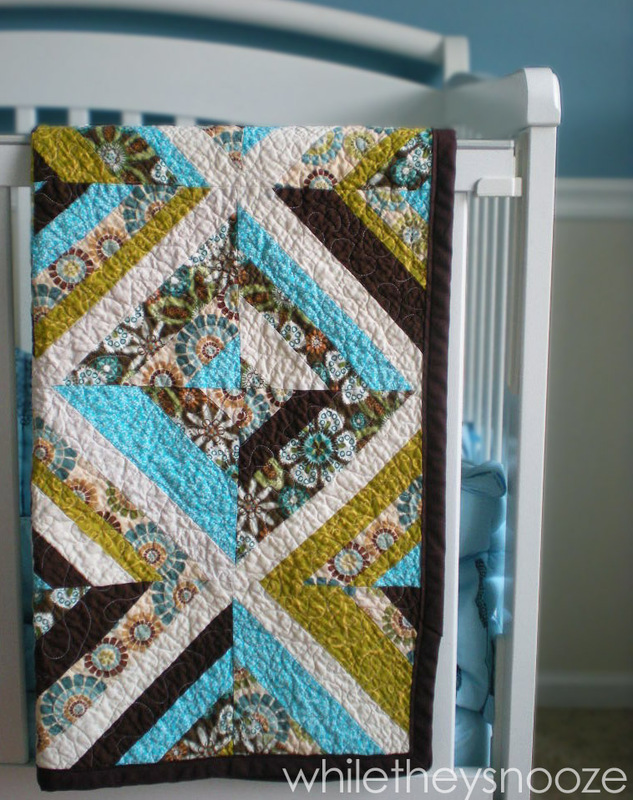 The result was a crib-sized actual quilt for my nephew Levi. And while a few negative Nancys told me I didn't know what I was doing and that if I wasn't going to do it "right" why bother (so sweet, really), the majority of people "got it" and were excited to see a first timer get off her bum and just try. Yay you second group of people I mentioned! 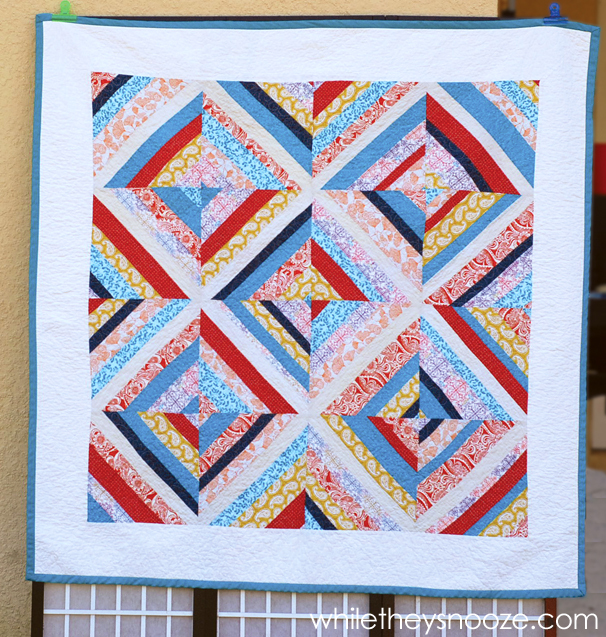 Click here to read that whole lovely tutorial and maybe make your own quilt (and browse the comments to see if you can find any ridiculous ones). You can do it, I promise! Then like another million years later, I made my second quilt. This one was a bit larger and for myself. If you're wondering, it came out equally as amazeballs. (Amazeballs means it's a functioning blanket looking pretty much like I envisioned it looking without causing hives or rashes to its user.) Click here to see that masterpiece. One day I'll take it out of the drawer in the guest room. In both posts I tried to describe what I was doing assuming the person I was talking to had very little sewing knowledge. Because let's face it, I had very little sewing knowledge while doing it. ha. The only thing is, even though my picture taking and descriptive skills were, ahem, incredibly stellar, like I'm headed for HGTV right now, I didn't take any video.... UNTIL NOW! Drum roll. Without further, incredibly informative and yet entertaining rambling, I have a video to show you which explains the whole free motion or meandering quilting technique I used. So sit back, grab your latte, and enjoy my real life self, slight lisp and all! Beautiful! Great job! 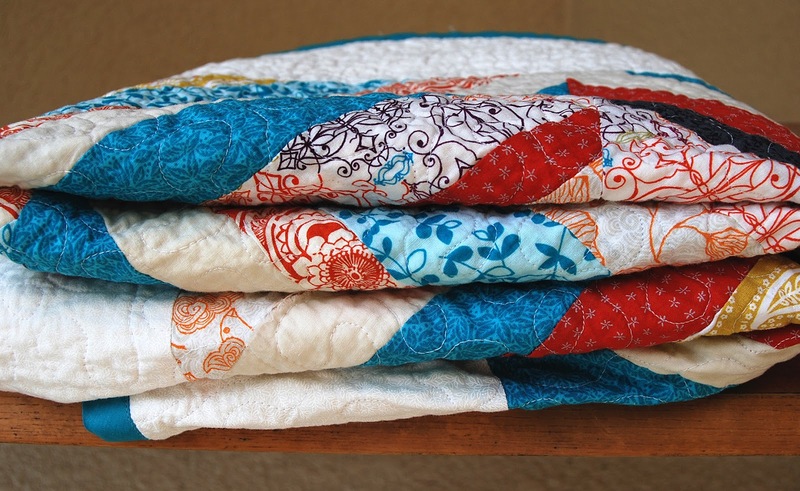 It took me awhile to make my first quilt because someone told me I couldn't. My first quilt still graces my bed some 16 years later (though its looking every bit of its age.) I have made countless others since. 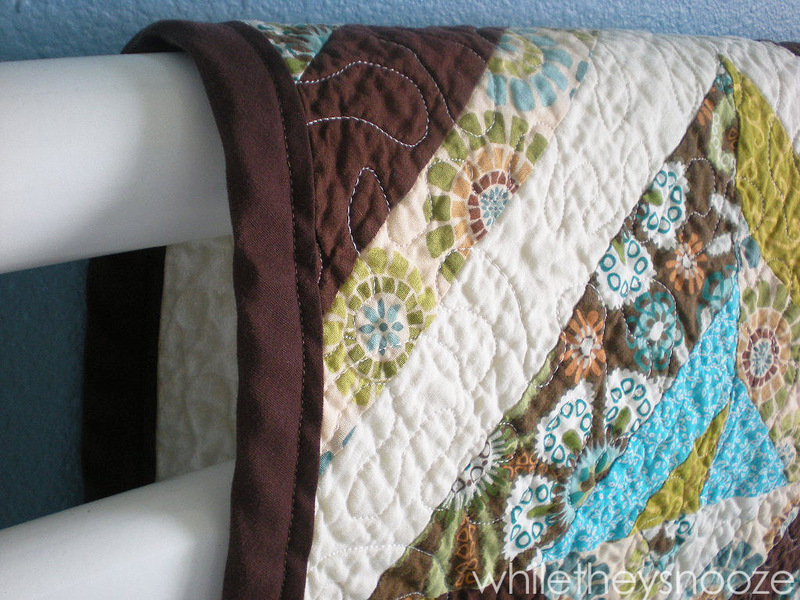 I haven't done much machine quilting but would like to give it a try. 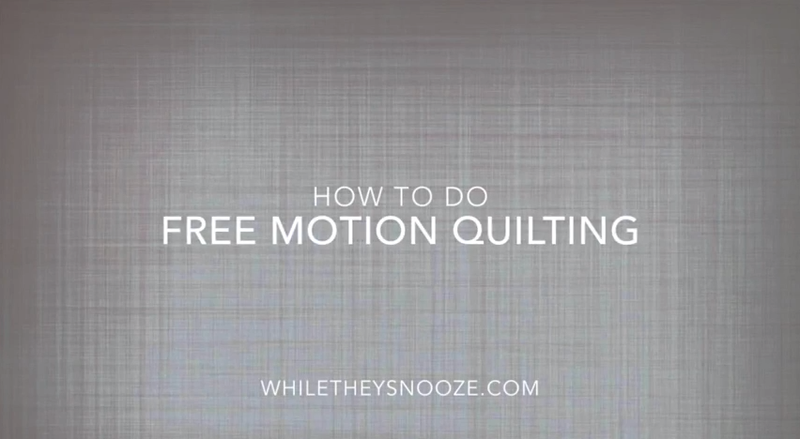 Thank you so much, have prevaricated about free-motion quilting, but am now inspired t have a go! I do have one question .... Why do you wear only one glove? Aren't you directing the quilt sandwich with both hands? Again, your video is GREAT ... And I would have never known you had a lisp, unless you mentioned it . . .
Hi Susanne! Haha, glad my lisp isn't as obvious as I assume it is. :) I only wore one glove for a couple reasons... 1. It's hot. Those gloves make me sweat! And 2. Shoving the fabric around with only 1 seemed to work fine so I didn't put the other one on for the video. I do wear two sometimes when working on a bigger quilt. Whatever works for you! Thank you! 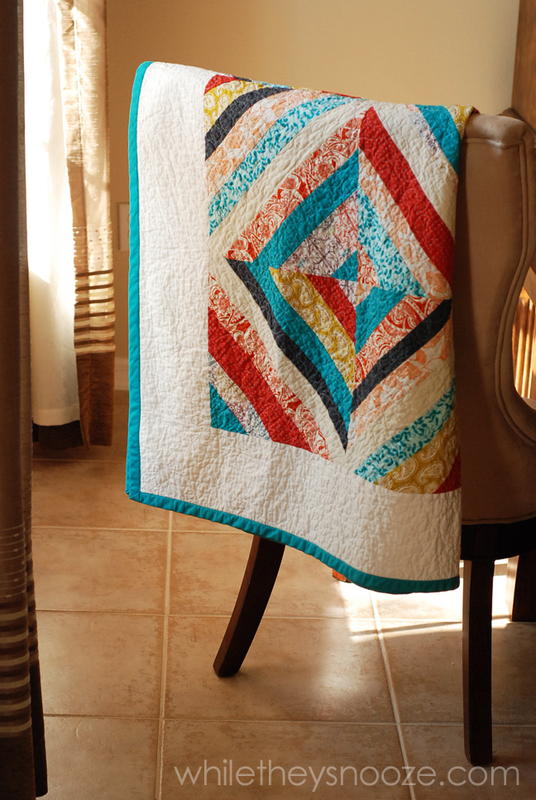 I'm going to try it with a placemat, then, hopefully, I'll try your beautiful beginner quilt. I'm so glad you mentioned and showed the feed and the gloves. I think you've taken some of potential discouraging moments out of our beginning efforts. Thanks Gloria! I hope it inspires more people to just try! It doesn't have to be perfect to work :) Good luck!